Apple to give iTunes, App Store makeovers this year? 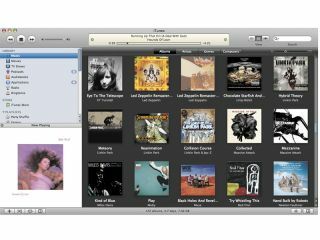 The iTunes store has not particularly seduced us with its design aesthetic to date, so we're not sure anyone will go into mourning over the news that its set for a makeover this year. Both the iTunes Store and Apple's App Store look to be in line for a lick of paint as a reaction to new and much-loved services like Spotify but presumably also because it looks a bit old and boring. Apple is said to consider the redesign "a top priority" which shouldn't come as a surprise to anyone who knows how much moolah the company makes through the digital storefront. Apparently it's all about making the stores easier to use (aka buy from) through a more user-friendly interface and making it "a much more engaging experience". We're just hoping that the App Store overhaul will make it a bit easier to wade through the oceans of apps available and find the good ones. No word on when we'll see the fruits of this redesign work exactly, but the sources speaking to 9to5Mac about it in the first place reckon later this year.